“The network is down. Help!” “Our print server isn’t working anymore.” “I just started my business, I need help setting up a network.” These are all common problems that Nerd Herd can easily remedy. 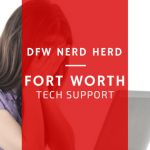 DFW Nerd Herd Fort Worth Computer repair offers Business Computer Repair, Managed IT services as well as Preventative Maintenance plans for your small or mid-sized business in Dallas or Fort Worth, TX. Nerd Herd is here to help! We are here to help you with all business related computer troubles you may run into. 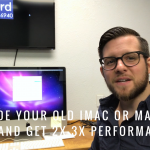 Your internet connection might be down and you need it back up asap, your print server has stopped working or you need a your new office set up. Nerd Herd will get to you fast and solve your problems as quickly as possible. We understand that when running a business, time equals money; therefore, we value your time immensely. One of our expert technicians will come to your place of business within 24 hours of your phone call or sooner so that we can diagnose and have your systems back up and running in no time. We even offer same-day service. It is invaluable to have all of your business computers connected together and communicating as one. We are experts at installing, configuring, and securing wireless and wired networks in your office. This will enable all of your employees to be on the same page and will help maximize efficiency. What do you do when your server has crashed and you have lost all of your important business data such as: tax information, client lists, client accounts, accounts receivables, etc.? Hopefully, you have all of your data backed up. If you don’t, we can help. We can setup a system to backup all of your important company data to a safe and secure location. Nearly 75% of businesses go out of business within six months of data loss. 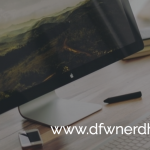 Protect yourself from an impending disaster with Nerd Herd data backup. We provide backup and recovery assistance to businesses when they need it most. Reduce your technology costs and minimize downtime with our fast, reliable, on-site services. We can create a customized support agreement to help save your business valuable time and money. Are your computers running slower than normal? Most likely, your computers suffer from a virus, malware, trojan, spyware or any combination of these ailments. Even worse, even if only a few of your computers are infected, if they are not treated immediately, the viruses can spread across your network and damage important data. 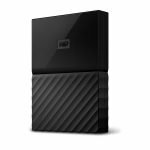 Additionally, we can repair any of these issues and help you prevent them in the future by installing anti-virus software for you. Firewalls help protect your computers and network from intruders who may attempt to access your files and sensitive business data. Protect your business from intruders and loss of data with the help of Nerd Herd.